WHICH PLAN APPEALS TO YOU? Would you like to achieve a level of Spanish you have only dreamed of? Choose among our plans which best suits your needs, your tastes, your schedule… And pick it up at your own pace, enjoying the journey, because having fun and in good company, is the solution for learning Spanish. It may even become your favourite hobby! Can you imagine all the benefits of one day talking with Spanish people and eating tapas? 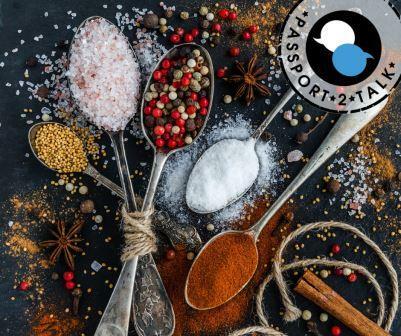 Learn useful vocabulary and expressions for bars and restaurants in Spanish, meet new people enjoy the best tapas in Murcia and discover Murcia traditions! 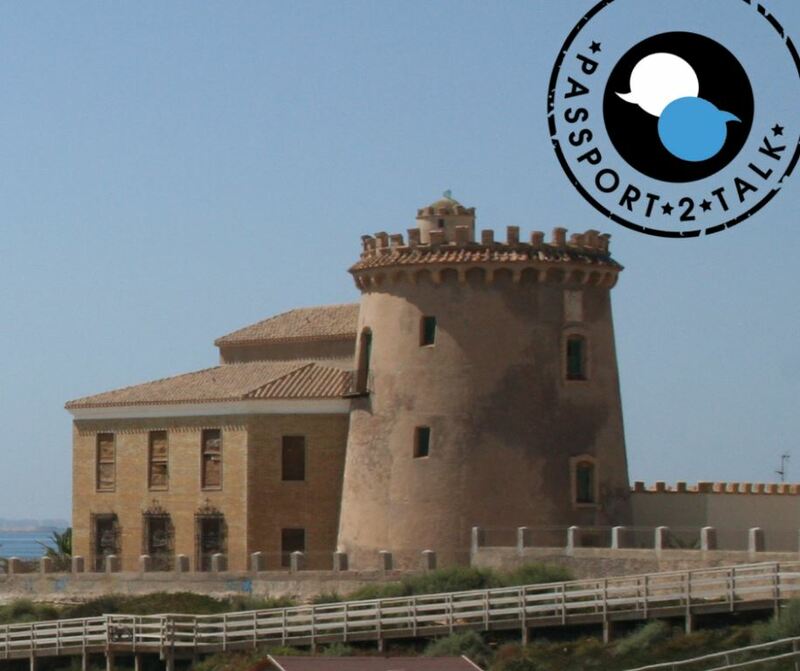 PASSPORT 2 TALK is in Murcia, catch a fun opportunity to practice Spanish for few hours and get to know new people. We will go “de tapeo” ordering tapas form bar to bar, where you can learn which are the best tapas and how to order them. Learn the best bars from Spanish people living in Murcia, as well as, vocabulary and useful phrases used in this situation. While we walk the city….it just gets better!! You will get ready to practice languages with fun games that we have prepared. ✅ Price: 15€ per person including one caña+tapa. Please, join the WhatsApp group of this activity and do not miss important info about it click here. ✅ Includes: bilingual guide, and insurance. Please make sure you bring: Comfortable shoes and clothes. Practise languages while strolling and give a hand to the environment! Begin the day surrounded by greenery, breathing pure air and doing exercise to lead a healthier life. Talk to people of different nationalities throughout the day and enjoy making a better world..
You can come alone or accompanied by friends and family. Along the dry river bed of San Javier you can pick up “with a bag” and clear away the rubbish left behind by people, so that we leave the environment as it should always be. A great activity for anyone, and excellent learning for the little ones. When we finish, Vinissimo is offering some nibbles to the participants..
What are you waiting for? Sign up and join us and… ENJOY LANGUAGES! We will be waiting for you! Don’t know how to get there? Contact us and we will help you. 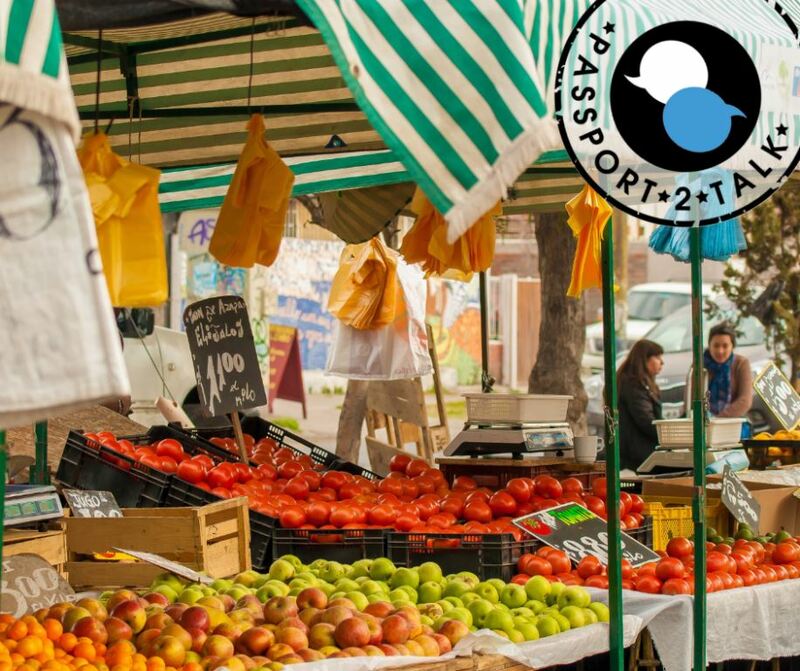 Learn to do your grocery shopping in Spanish, meet new people and discover local products! 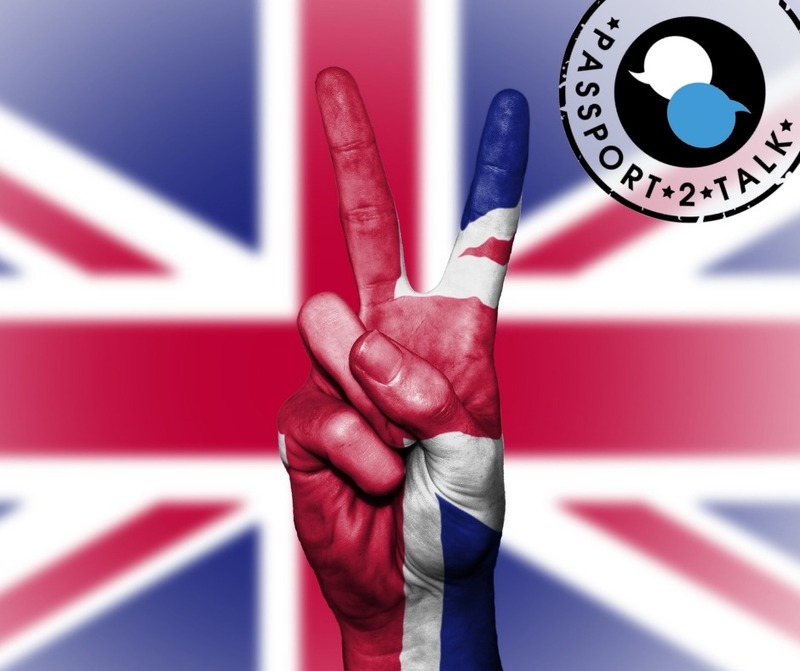 PASSPORT 2 TALK is in the capital, catch a fun opportunity to practise Spanish for few hours and get to know new people. We will go to one of the Indoor Markets in Murcia, Mercado de El Carmen, where you can learn how to select the best quality vegetables, fruit, fish, fresh meat and preserved meats and sausages. Learn the best tricks to do your grocery shopping, as well as, vocabulary and useful phrases used in the market. At the end of our walking tour around the market….it just gets better!! You are ready to practice languages with funny games we have prepared. The best way to learn English is while doing something practical. So, this week in the conversation groups we will choose, among all of us, two recipes from this blog: http://recetasrosalinda.blogspot.com/ and we will make the shopping list so that, on Saturday, we will be able to ask the shopkeepers what we need. ✅ Price: Enjoy great company and fun activities in Spanish/English for only 10€ per person. ✅ How to get to Murcia? 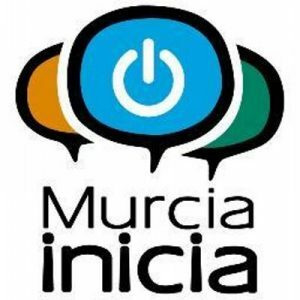 – By bus: Line 70 El Pinatar-Murcia, arrives in Murcia at 10:40 and returns at 5 in the afternoon. Contact us if you need detailed directions. We will recommend some options to eat: Going to a stall in the market, asking for something that “catches your eye” and going to the bar so that they prepare it for you is an option. Another is to follow one of the numerous tapas routes. In the afternoon, we suggest you a stroll around the bustling squares of the city. We will give you a map with routes and you can visit the city at your own pace. Practise languages while strolling through this wonderful natural landscape and give a helping hand to the environment! Afterwards, you will enjoy a delicious lunch and a relaxing afternoon in Thalasia Marine Spa – don’t miss out on a great experience! 16:00 – Thalasia: Marine pools and the opportunity to practice Spanish. 20:00 – Farewell – the end of another Passport 2 Talk event. Clothing and comfortable shoes for walking on the beach. A bag and plastic gloves. Towel, flip-flops, swimming suit and cap. The desire to talk to people and have fun! ✅ Includes: linguistic experience, visit, lunch, marine pools and insurance. – By bus: Line 70 El Pinatar-Murcia, leaves Pueblo Latino at 8:50, San Pedro (9:05). – By car: Contact us if you need detailed directions. Do you want to meet with us there? SPANGLISH CONNECTION: Tapas at the carnival. Santiago de la Ribera. WATCH THIS VIDEO, PLEASE! Enjoy the magic of the Carnival and some delicious tapas in this beautiful coastal town! 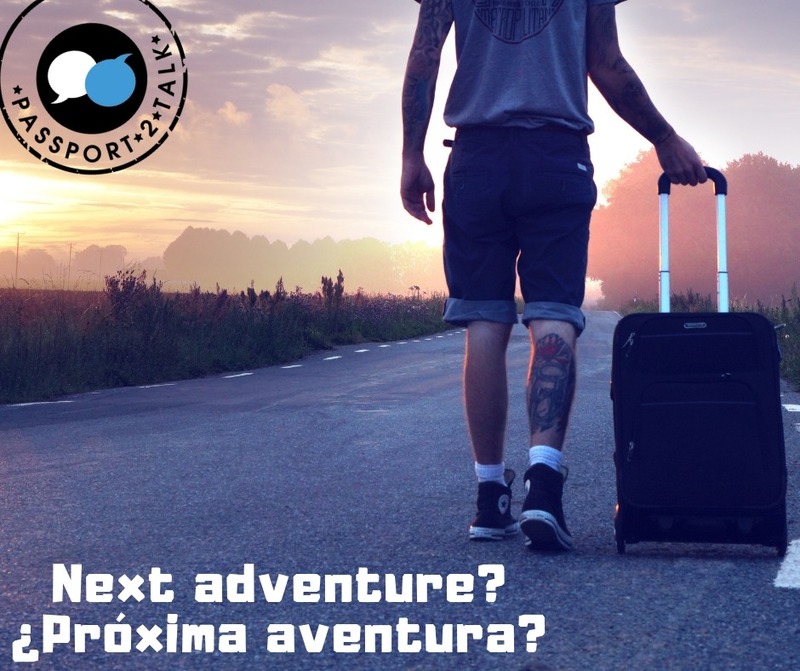 We propose you another “magnificent excuse” to enjoy learning Spanish at the Passport 2 Talk style… everyone is welcome; adults, children, families, people on their own, if you know a lot of Spanish or just a little bit, WE ARE WAITING FOR YOU! 11:00 – Costume handicraft workshop and makeup, while we learn Spanish vocabulary. 13:00 – Tapas route (tapa and drink 2.5€):¡Yummy! 15:00 – Games and activities to practice languages. A cap or a hat and sunscreen. The desire to talk to people and have fun. ✅ Price: 10€ per person, 20€ for families 3 or 4 members. ✅ Includes: linguistic experience, materials to elaborate the accessories of the costumes and insurance. 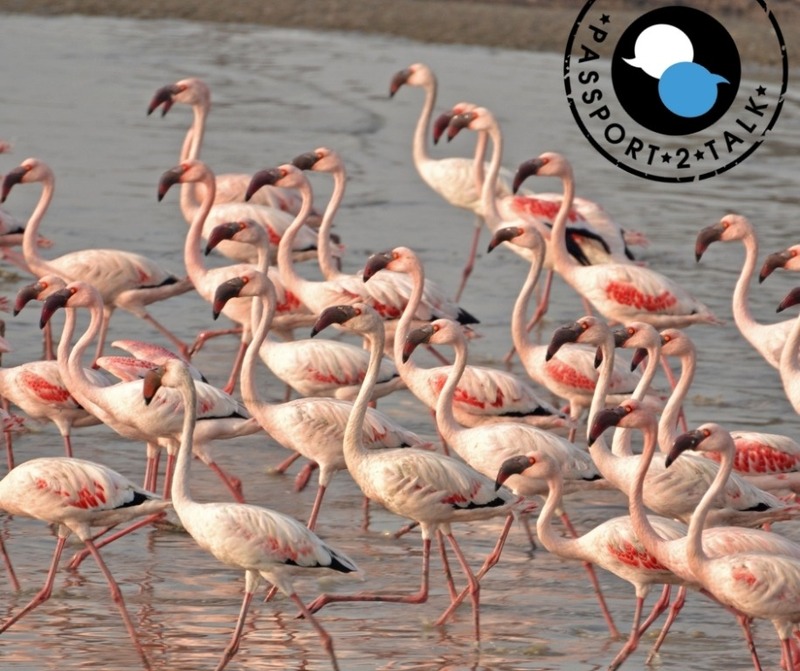 DISCOVER MURCIA: Wild Fauna Recovery Center in El Valle. Murcia – WHATCH THIS VIDEO, PLEASE! Saturday, 2nd of March of 2019, 10:00 am – 16:00 pm & picnic! You cannot believe the secrets that you are going to see in their facilities! 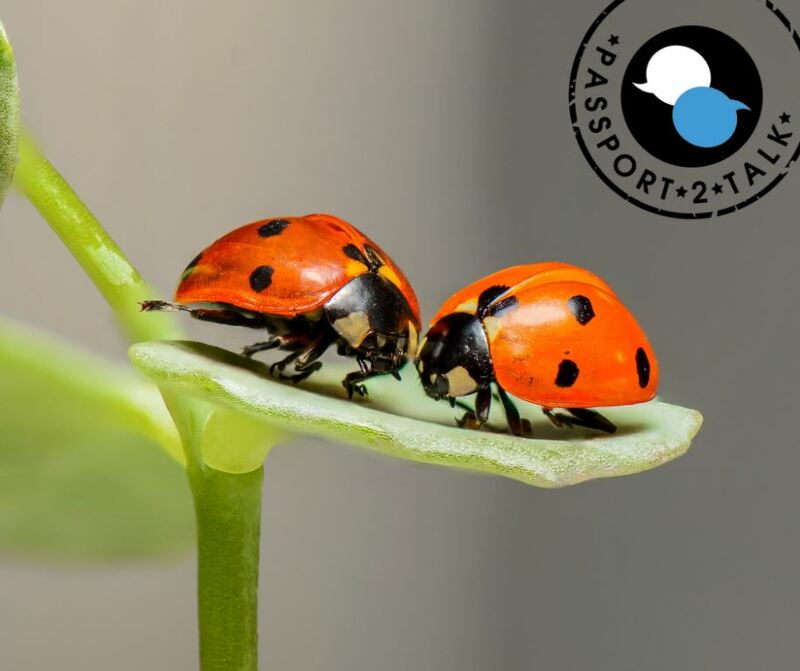 We propose you another “magnificent excuse” to enjoy the mountain at the Passport 2 Talk style… A guided visit to the Wild Fauna Recovery Center of El Valle practising English / Spanish with your companions! From 10:00 to 13:00 in the “Centro de Recuperación de Fauna Silvestre de El Valle”, we will learn some interesting information about wildlife in the Sierra de Carrascoy. We love to taste new dishes and discover new flavours. What about you? This event is only for those who answer YES! But you have to bring something yummy to share in exchange! And as always in our events: Activities and dynamics that take away the least bit of embarrassment. ✅ Includes: bilingual guide, guided tour and insurance. Please make sure you bring: Comfortable shoes and clothes. Your picnic and drinks. 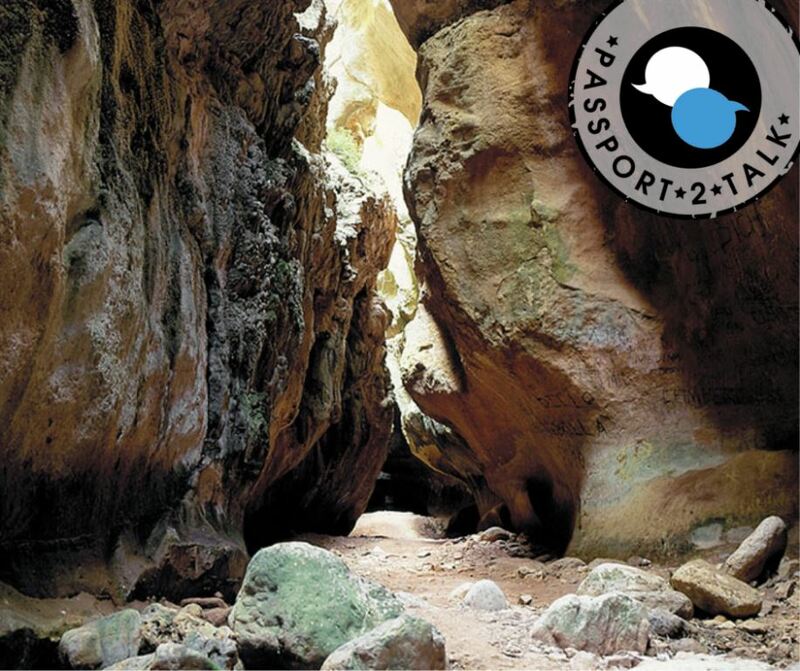 MAKE A BETTER WORLD: Trekking “with a bag” in Río Seco (Pinar de Campoverde) FREE! WHATCH THIS VIDEO, PLEASE! 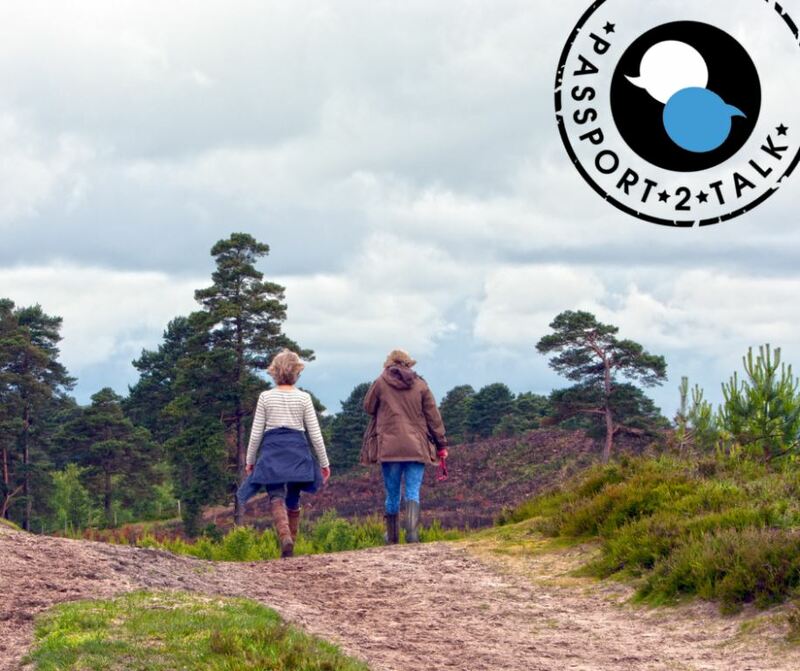 Practise languages while<br /> strolling through this wonderful natural landscape and give a hand to the<br /> environment! Begin the day surrounded by greenery, breathing pure air and doing exercise to lead a healthier life. Talk to people of different nationalities throughout the day and enjoy the games and activities we are going to do. Along the watercourse you can pick up “with a bag” and clear away the rubbish left behind by people, so that we leave the environment as it should always be. A great activity for anyone, and excellent learning for the little ones. Bring your own food and enjoy a multicultural picnic. Learn to cook Murcian cuisine in Spanish and meet new people! Would you like to join our cooking club? We are a group of people who gather together on a semi-regular basis to learn to cook Murcian cuisine. Rosa, our enthusiastic home cook has expertise in cooking local seasonal dishes and is willing to share with you all her recipes (http://recetasrosalinda.blogspot.com/). As you can imagine when we meet, roll up our sleeves, and get something delicious done, we have lots of fun. Another enjoyable part of our group would be the snacks. There will be a few bottles of wine, a decent loaf of bread, some cheese or ham — just enough to keep the blood sugar levels in a good place. We will repeat this event on the 23rd of February and after the Easter holidays. So if you are interested in joining the club, send us an email. Learning languages can be fun; what have you got to lose? Enjoy great company and fun activities in Spanish/English for only 30€ per person. ❌ The activity does not include: transportation. ✅ What to bring: Apron and good mood…. Good mood is good food! And the opposite! How to get to Murcia from the coast? -By car: Near and cheap car parking https://goo.gl/maps/VMxdxpKr6b52. Contact us if you need detailed directions. An enchanting village with a mix of Muslim and Christian architecture surrounded by an idyllic natural landscape! Discover Aledo and Sierra Espuña, talk, play and best of all… Enjoy languages! ✅ Should you need a lift from your house, contact us for more details. ✅ Return from Sierra Espuña at 5am, dropping off at the same points but in reverse. Price: 35€ (30€ for the first 20 people to book). Cancellation fees: 25% penalty up to one week before, 50% up to one day before, 100% on the same day of the event. ✅ Includes: bilingual guide, transport, guided tour of the medieval town, guided tour of El Torre del Homenaje, guided tour of El Estrecho de la Agualeja, traditional food and insurance. Please make sure you bring: Comfortable shoes and warm clothes. Discover the history and customs of Pilar de la Horadada! As you well know, the best way to learn a language is to be in contact with native speakers. Learn how to make purchases at the weekly market as if you have lived in Spain forever and get to know some of the Spanish culture over 3,5 hours. We start the day eating breakfast at a vegetarian restaurant: a healthy choice… and delicious! We will continue walking to the municipal museum to get to know the history and customs of Pilar de la Horadada in a guided tour. In the weekly market, we help you to learn and practice doing the shopping and to understand the owners of the market stalls. And at the end, if you want, you can continue chatting with other participants of the activity while you eat at one of the many bars and restaurants in the area. Stroll through the history of this small coastal town while you learn how to order in bars and restaurants! Another opportunity for your Spanish to continue to improve without noticing. How? Spending a morning in contact with native Spanish speakers. And I don’t have to tell you, because you already know: it’s the best way to get a language spoken. Get to know some details and curiosities about the Plaza Nueva Shopping Centre first hand from the constructors. Its avant-garde design makes it one of the prettiest in the area. While we are walking to our next destination we will practice how to order in a bar/restaurant, with our guide to the most common phrases in English/Spanish. Later a short walk through the history of the Torre de la Horadada: Guided tours of the Roman quarries on the beach and the building that gives the name to this coastal town. ✅ Included: Linguistic experience, Spanish/English guide, visits and insurance. Surprises! Immerse yourself in a 4-hour bilingual exchange and improve your listening and speaking in the most entertaining way. We start the day with breakfast at a vegetarian restaurant – a healthy choice… and delicious! We will continue walking through the weekly market where you can learn and practice how to buy your fruit and vegetable shopping. Later, a small heaven of peace awaits us: a little permaculture garden where, in the hands of its creator, you can learn tips on how to cultivate your own food and be kinder to the planet that gives us shelter. As you know, the best way to learn a language is to be in contact with native speakers. 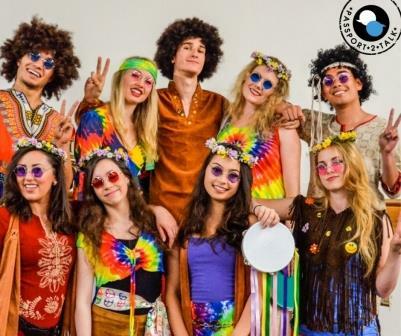 For this reason, anyone who wishes can continue chatting with other participants of the activity by eating in one of the many bars and restaurants in this area. ✅Includes: Linguistic experience, access to the permaculture garden and insurance. Practice Spanish, meet people and discover Murcia at Christmas time! 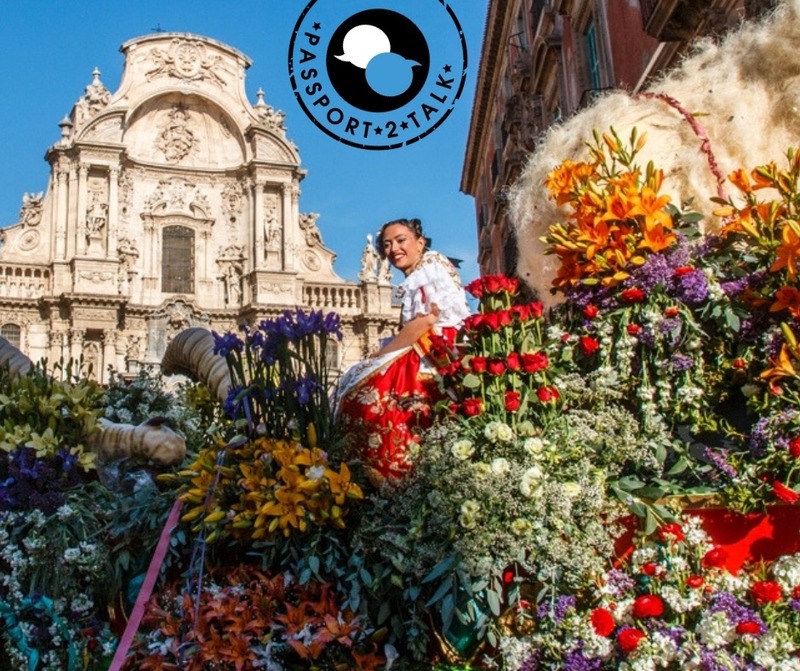 In PASSPORT 2 TALK we love to welcome you to Murcia, the capital of the Region. It is a good way to practice languages while meeting new friends and enjoying the Christmas decorations. Why not to visit some of the most emblematic monuments of the capital (the social casino or the cathedral) and stroll along its streets accompanied by Spanish natives. Murcia hosts on that time its annual Christmas artisan market, where you can taste some delicious sweet seasonal pastries and cakes and lots of other artisan products. Come with us, talk, play and enjoy languages! What are you waiting for? Includes: Language practice. Meal. Guided visits. Travel insurance. Practice Spanish, meet people and discover Murcian local traditions! 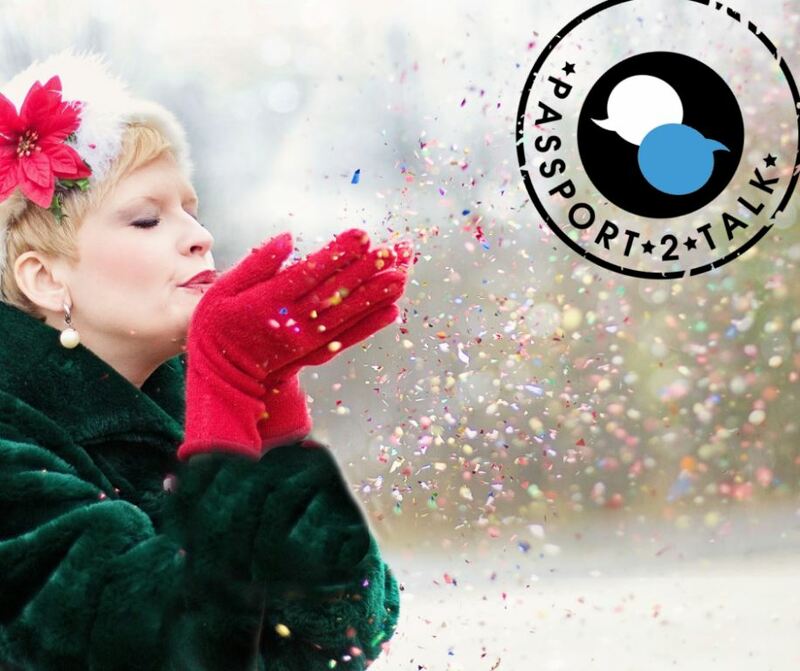 In PASSPORT 2 TALK, we would love you to discover some of our local traditions, while you speak Spanish with new native friends. Come and visit the MONTEAGUDO CASTLE, with its breathtaking views of the Murcia’s orchard. Then, learn the “ins and outs” of a “BELÉN” WORKSHOP and learn vocabulary related to nativity scenes in Spanish. Afterwards, observe how they prepare the CHRISTMAS SWEETS in a famous confectioner’s and to round off the day you will have lunch in a typical restaurant, entertained with some language games to assimilate all you have heard during the day. Includes: Language practice. Transport. Meal. Guided visits. Travel insurance. A taste of luxury, peace and relaxation especially for you! •A guided tour of the Balneario, which history goes back to Roman times, and to the Chapel. Great opportunity to practise Spanish! •The very special Thermal Spa swimming-pool provides two main pools,one outdoor, in the lush green setting of the Balneario and the other undercover, as well as a series of jacuzzis and jet showers. •Access to the Balneario Circuit where you will discover a wide range of different indoor and outdoor saunas, warm hammocks, walking corridor and more! ✅Pick-Up Points: El Pilar de la Horadada (9:15), Dos Mares Shopping Mall (9:30 am) (Junction 777, AP7), Los Alcazares and Resorts in our way to Murcia. ✅Leaving Archena at 4:30pm and returning to Dos Mares one hour later. ✅The route includes: Spanish learning experience, bilingual English-Spanish friendly company, transport, Spa historical tour, entrance to the spa (Spa thermal swimming-pools and Balnea thermal circuit), lunch, insurance. You will enjoy beautiful surroundings whilst relaxing in the Balneario Spa Resort – don’t miss out! ✅Maximum number of people: 8. First come, first served! Enquire about more details, future dates and change of times. 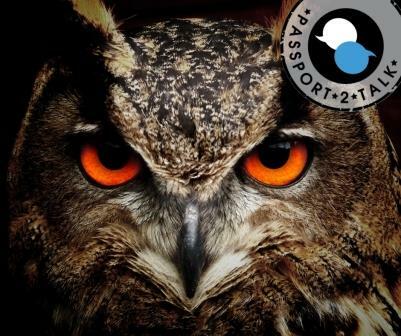 PASSPORT 2 TALK is in the capital, catch a fun opportunity to practise Spanish for few hours and get to know new people. We will go to one of the Indoor Markets in Murcia, Mercado de Verónicas, where you can learn how to select the best quality vegetables, fruit, fish, fresh meat and preserved meats and sausages. 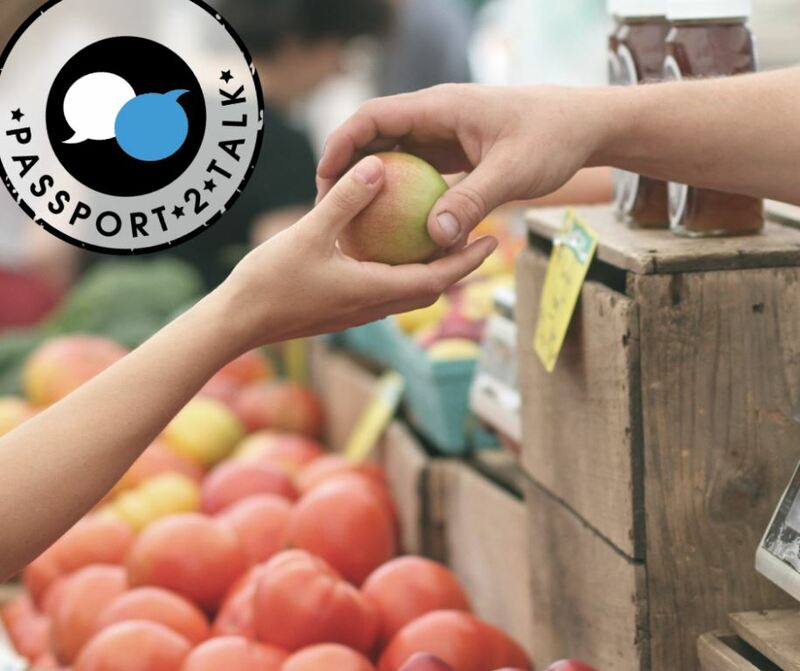 Learn the best tricks to do your grocery shopping, as well as, vocabulary and useful phrases used in the market. At the end of our walking tour around the market….it just gets better!! You are ready to practice languages with funny games we have prepared. Enjoy great company and fun activities in Spanish/English for only 10€ per person. ✅How to get to Murcia? -By car: El Malecón car parking: https://goo.gl/maps/gUzpdMdganC2. Contact us if you need detailed directions. 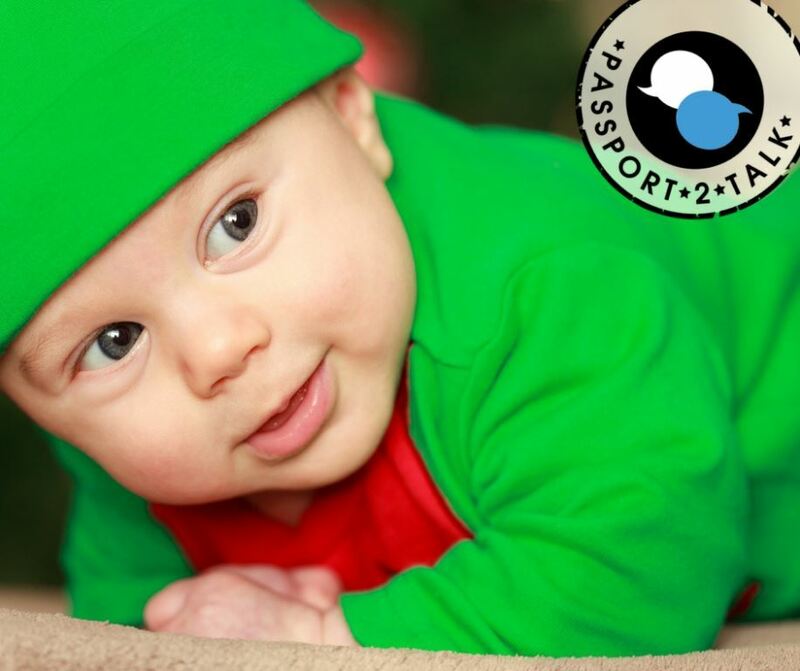 Subscribe to receive weekly the “Passport 2 Talk” schedule of events with forthcoming activities. Would you like to achieve a level of Spanish you have only dreamed of? Choose among our plans which best suits your needs, your tastes, your schedule … And pick it up at your own pace, enjoying the journey, because having fun and in good company, is the solution for learning Spanish. It may even become your favourite hobby! DISCOVER THE WORLD: South African holidays. DISCOVER THE WORLD: Birmingham. United Kingdom.